You must use Form 1040 to deduct self-employed 401(k) contributions. 1. Can I Contribute to an IRA the Same Year Job Terminated With a 401(k)? 3. Does Taxable Income Include Pretax Health Insurance? Using a 401(k) plan for retirement savings allows you to postpone paying taxes on your income, up to the annual limits, until you take distributions from the plan. In most cases, your 401(k) contributions won't be an above-the-line deduction, or even reported on your taxes at all, unless you're self-employed, but they will still reduce your adjusted gross income. When you work as an employee, contributions made to your 401(k) plan come directly out of your paycheck. For instance, if you contribute $500 per month to your plan, your company just pays you $500 less than you otherwise would receive. When you receive your W-2 at the end of the year, it won't include your 401(k) plan contributions as income. For example, suppose your salary is $70,000 but you put $6,000 in your 401(k). Your W-2 will only show $64,000 in income, so it's already deducted before you even start filling out your tax return. Employer contributions are also not deducted on your tax return because they are already excluded from your income. Suppose your employer contributes $10,000 on your behalf to your 401(k) plan. That $10,000 is never included in your taxable income, so you don't get to deduct it on your tax return. Otherwise, you'd essentially be deducting the same dollars twice. When you have self-employed 401(k) contributions, such as when you're a sole proprietorship or partner, that's the only time you're allowed to actually deduct the contributions on your tax return. 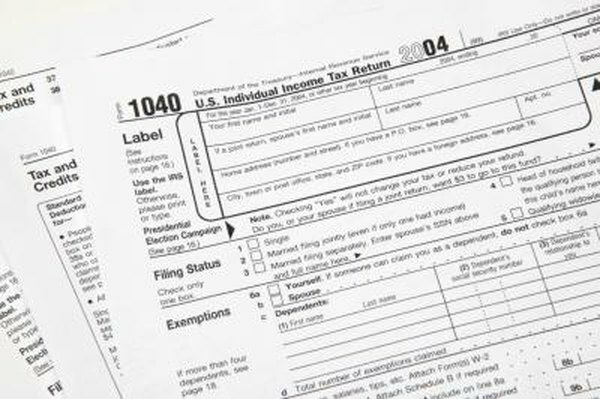 Deduct your contributions, including the portion that is considered an "employer" contribution, on line 28 of Form 1040 as an above-the-line deduction. Roth 401(k) contributions never get deducted or excluded from your taxable income because Roths are after-tax accounts, not pretax accounts. The money in a Roth 401(k) plan still grows tax-free, and when you take qualified distributions, it all comes out tax-free.